This piece is original, and rare. 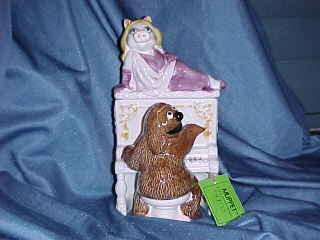 Rowlf is playing the piano and Miss Piggy is sitting on top of the piano top. Cookie Jar. Mint condition.